Does your phone run out of juice quickly? Or maybe you’re a heavy app user and you’d like to know what other options exist on how to save battery power for the long haul? Here are some great battery saver apps for Android phones from third-party developers. DU battery saver for Android mobile is a free app that detects all battery draining apps automatically, and fixes the problems. 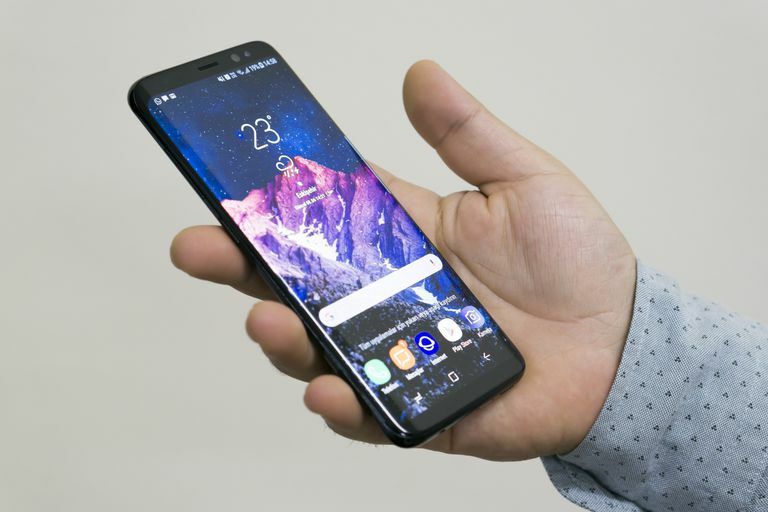 Its features include advanced mode, which fine-tunes troublesome apps, a phone cooler option to shut down inactive CPU-intensive apps, and a task killer for one-touch optimization of your battery usage. The Pro upgrade version has more advanced features like scheduling power-saving presets, automatic task killer, and CPU frequency tuning. The app's sleek but user-friendly interface displays how much time you have left based on your current battery level, including internet browsing minutes, while optimizing the time by closing apps and disabling various phone features. This feature-rich Android battery saver app by Cheetah Mobile, is free and has tools such as a battery monitory, energy saver, and power-saving profiles that can be defined and scheduled automatically. It allows you to check your battery level status quickly while tracking down the apps and processes that drain the life out of it. You can also toggle app settings that leech on your battery like brightness, Wi-Fi, Bluetooth, mobile data, and GPS, and still monitor your battery status based on the app type. It is a multilingual app with support for more than 28 languages, plus it optimizes your battery power at the tap of your finger. This free app puts those pesky battery hogging apps in a state of hibernation, so they can't access any resources, bandwidth, or run background processes. But this doesn’t mean you cannot use the app. With Greenify, you can run your apps normally when you call it and zap all battery-hogging apps — with the exception of important apps like your alarm clock, email, or messenger, or others that give important notifications — unless you don’t want them to. This feature-packed app has a task killer, five power consumption profiles that you can configure for work, home, emergency, night, and smart mode. It also has an app viewer and in-profile notifications. Other features include a single master switch for turning the battery saving app on or off, smart technology that calculates and shows you how much of your battery life is left, while prompting you to act on it. This free Android battery saver app gives more crunchy details about your battery use, while providing the tools you need to identify the battery draining apps in a snap. Its App Sucker tool shows app-based battery use, while unearthing CPU usage stats, and wakelocks. The app also lets you to specify the time intervals, view your usage stats, and look up time estimates for your battery status based on present, and past usage. This app offers free and paid PRO versions. The free version monitors your battery’s health while prolonging battery life with the charge alarm, and battery wear features. The Accu-check battery tool measures your battery’s capacity in real time, and displays both the charge time and remaining use time. On the other hand, the PRO version, removes ads that you’d get with the free option, but it also gives detailed battery and CPU usage stats in real time, and more themes. Its clever tools let you know when you’ve reached the optimal battery charging level, which the app suggests should be at 80 percent, before unplugging from the wall socket, or charging port. This Android battery saver combines various system features and settings that help save your battery, while providing profiles to help you extend your battery life. Its main screen displays your battery status, a power saver mode switch, plus toggles for different settings, battery statistics, and runtimes. Additionally, it has a sleep and custom mode, which deactivate device radios and lets you configure settings on your own power use profile, respectively. You can also make scheduled power-saving modes for specific times of day or night, such as wake, work, sleep, and other important timings in your schedule. What Are the Best Pro Basketball Apps for Your Android Phone?